Come on out to The Haunting of the Kreepshow off as Get-R-Smoked fires up the pits – Smoking up some of the best BBQ you have had using many Olive Oil Marketplace products. 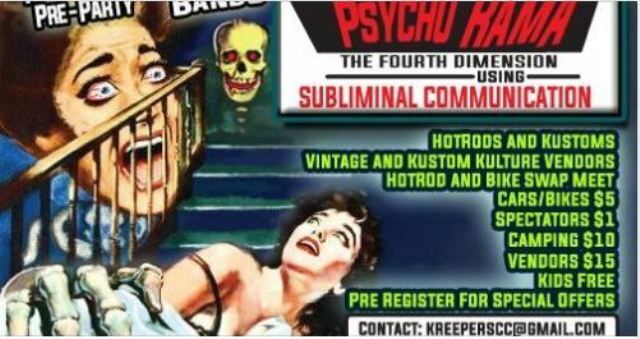 The 5th Annual KreepShow HotRod Horror Show. 1972 and previous hotrod and kustom car/truck show.